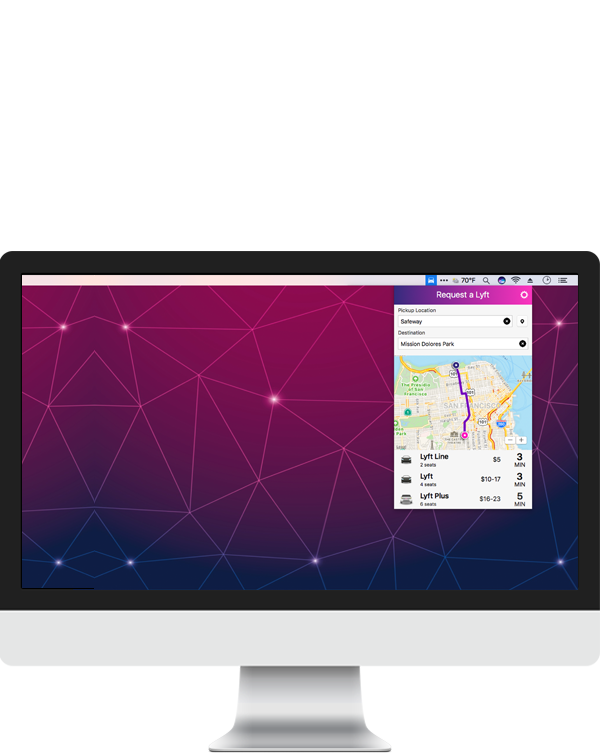 Hail for Lyft - Get a ride from your Mac. Get an ETA on your pickup time right in your menu bar, as well as notifications in your Notification Center so you know when to leave. Get an upfront pricing estimate, choose your payment method and request a ride. Receive notifications in your Notification Center so you know when to leave. Display the pickup ETA in your menu bar. Monitor your cars location using the built in maps! 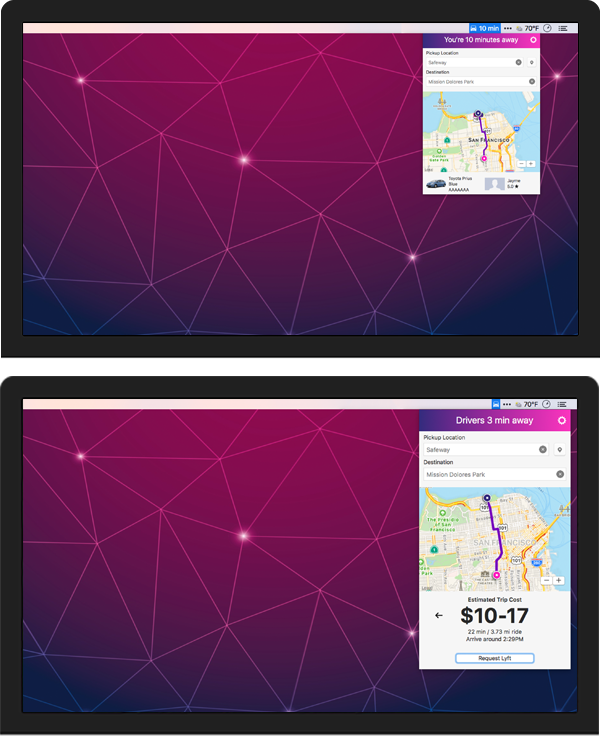 Hail for Lyft automatically updates in the background ensuring you always have the most ride details. Support for Mac OS X Dark Mode.